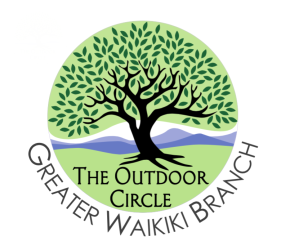 Regulating signs protects the natural beauty of Hawaii. Sign regulations allow businesses and others to display important information while protecting the visual environment. Sign laws provide public safety for vehicles and pedestrians by reducing inappropriate distractions. 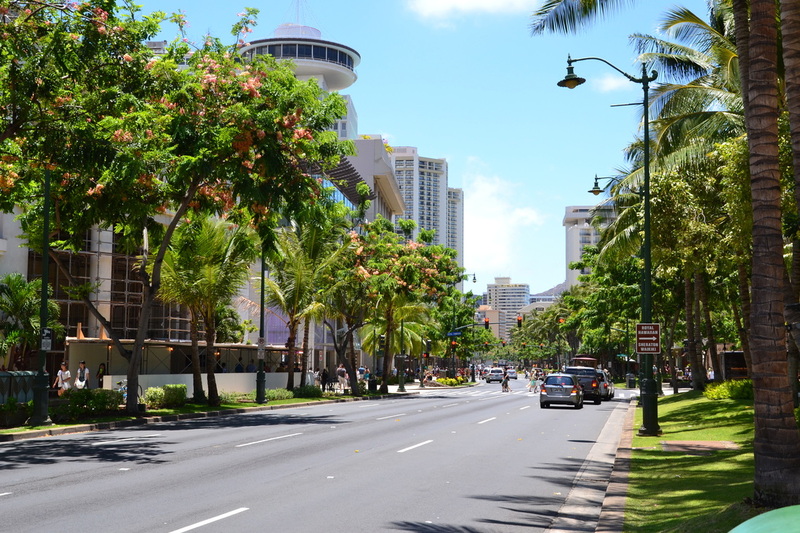 Sign laws ensure that Hawaii remains free of all billboards. Sign regulations have standards that must be followed. These standards primarily relate to size, location, placement, motion, illumination, height and setbacks. Violators may face stiff penalties including criminal charges. Sign makers and users need to check the law BEFORE creating and/or posting signs. Persons who believe specific signs might be in violation of State or County regulations should double check the standards before making a complaint. When making a complaint be sure to have an address where the sign is located and a detailed description of the sign in question. Note: The Outdoor Circle does not have authority to issue citations. 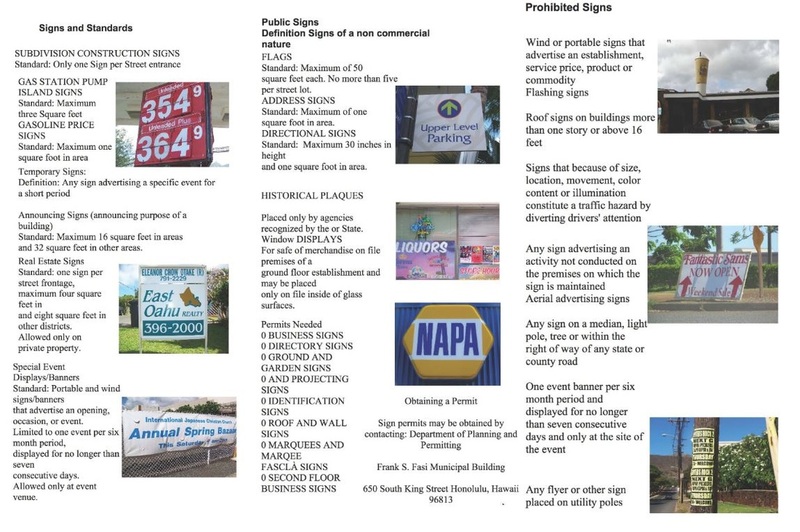 • Hawai'i law prohibits the placement of political signs on any public property, including median strips, sidewalks, fences and rights of way. Officials will issue citations for and/or remove any signs posted on public property. • There are no laws regulating the size or number of signs placed on private properties, which include businesses and residences. Signs are legal on private property year-round and for any duration of time. • Each sign displayed should be no larger than 4 feet by 2 feet, and the total area of all signs for each private property should not exceed 16 square feet. • No campaign signs should be illuminated by any form of artificial lighting. • No sign should be erected more than 45 days before the day of the election, and all signs should be removed by 10 days after the election.